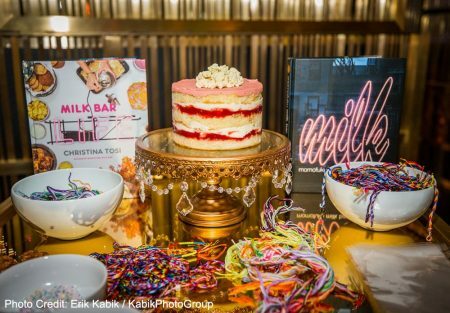 On Thursday, Feb. 2 a grand opening celebration was held at Momofuku Las Vegas in honor of Momofuku and Milk Bar’s first concepts on the West Coast, at The Cosmopolitan of Las Vegas. David Chang, chef and founder of Momofuku, and Christina Tosi, chef and founder of Milk Bar, were in attendance to celebrate the Las Vegas additions to an already impressive roster of locations in New York City, Sydney, Toronto and Washington D.C. Guests were welcomed to the event with Momofuku cocktails such as the Seven Spice Slushie, Bonji Old Fashioned, and V + S, while enjoying passed canapes of spicy cucumbers, chicken karage & caviar, yellowtail sashimi, and fluke with easwood, pickled plum, and nori. Guests grabbed ginger scallion noodles in Chinese takeout containers as they made their way into the main dining room, where chefs carved Five Spice Rotisserie Ducks and served Bo Ssäms (slow roasted pork shoulder). 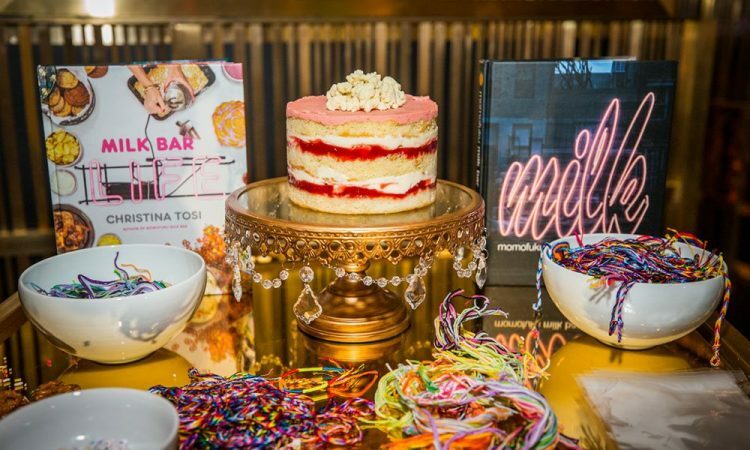 A multi-tiered Milk Bar birthday cake was revealed during the evening, and displayed among an assortment of cookies for guests to enjoy while nostalgically crafting Milk Bar inspired friendship bracelets and custom buttons. Throughout the evening, guests indulged in passed birthday cake truffles and chocolate malt cake truffles along with slices of Milk Bar cakes in specialty off-menu flavors – including chocolate chip passion fruit cake, German chocolate jimbo cake, dulce de leche cake, and strawberry lemon cake. 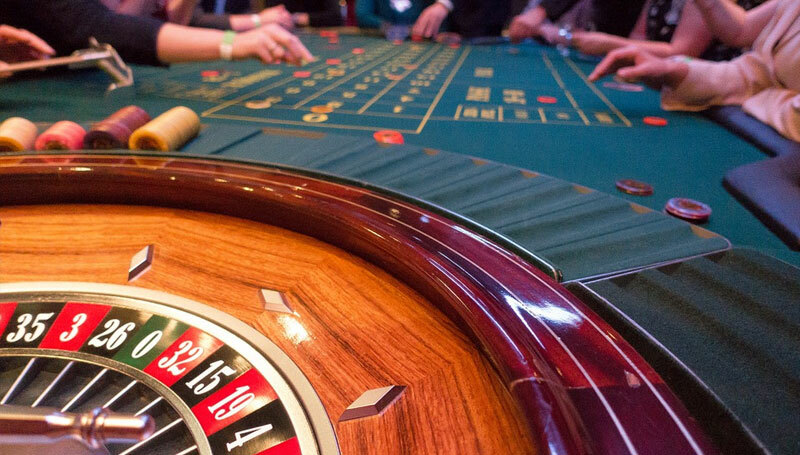 Guests looked out onto the Las Vegas Strip from the private dining room while enjoying a seafood raw bar accompanied by Champagne and Beer towers. Chang and Tosi’s unique flavors bring new, playful experiences to The Strip, while complementing The Cosmopolitan’s highly acclaimed culinary roster of celebrated chefs and restaurateurs. Finally, Momofuku revealed that lunch service will begin on Tuesday, Feb. 7 from 11:00 a.m. to 2:30 p.m. daily. Reservations will be available starting that morning.